On occasion I’ll forage the large plastic container in the basement, digging out some food articles I wrote for a newspaper of my longtime employ, along with sifting through some other assorted published pieces of past. Sometimes then, I even feel a little sad that I hadn’t treasured some of those columns more at the time, and had been more diligent cutting out all of the clippings, saving them, at least for future memory. I also wish I hadn’t given away originals during times of adding on to freelance opportunities here and there. There was a time when all I ever dreamed of was to write food columns, and to become a great photographer. Working in restaurants, catering, any food related efforts in my own mind would only strengthen a sort of greater credibility towards this end. 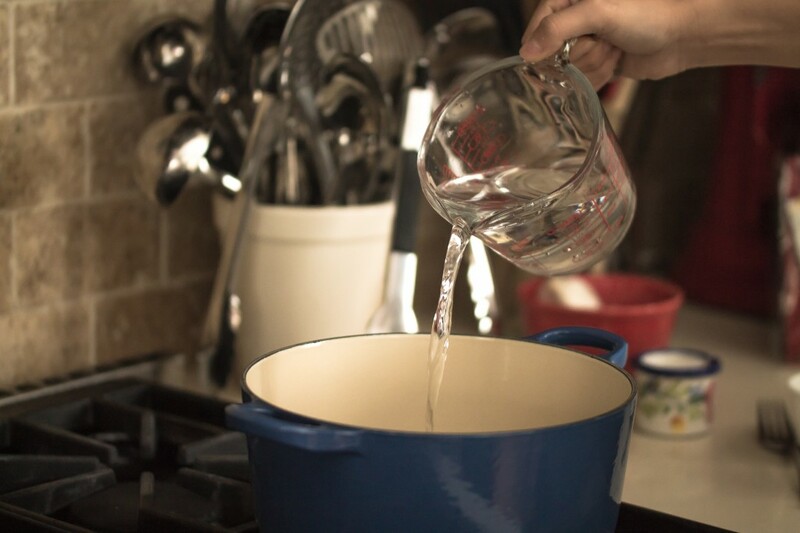 I never would have dreamed that someday I could actually have something called a food blog and continue to write about food, and even begin learning how to take good food pictures, which I probably should not bring up on this post given my stove top photos here could use a little improvement. I’ll make a note on this toward the next learning focus, alongside taking indoor shots of people eating at the table, casually snacking on some appetizers, or sharing wine or cocktails. Having Spiced Peach Blog has given me a connector of sorts, a reason to forage that large plastic container in my basement on occasion, digging out some past food articles, last year, an Italian Christmas Eve with Chef Nunzio Patruno, and today, cranberry sauce. 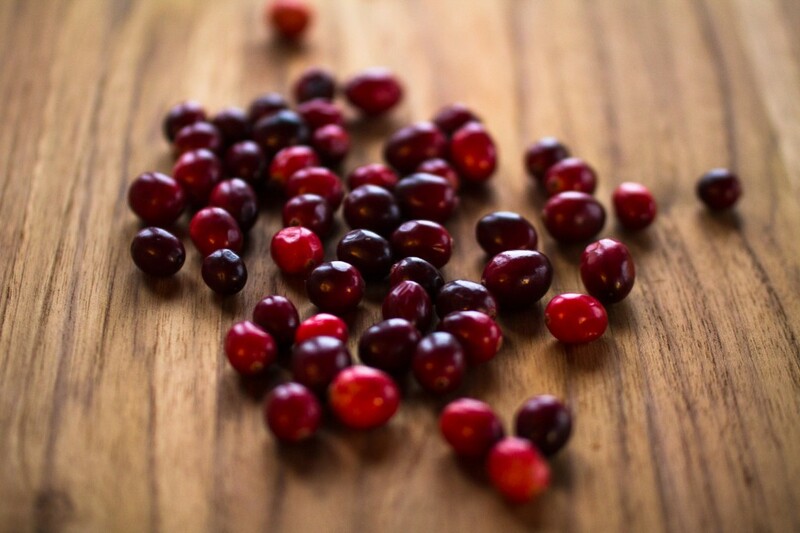 This time, finding an interesting article about cranberries on the website of the Cape Cod Cranberry Growers Association, I learned that among all fruits, the cranberry is one of only three, whose roots are founded in North America, a fascinating fact in my observation. Just beneath, it said: “The Cape Cod Indians called the tiny fruit Ibimi, meaning bitter berry. Ibimi was used for game relish, boiled with succotash, and mixed with dried venison and deer fat to make pemmican cakes. Reading on, I had interviewed two separate people for this particular piece, one, Abbott Lee, cranberry farm producer of Lee Brothers Farm out of Chatsworth, New Jersey, and, Peggy Yates, a Communications representative of Ocean Spray Cranberries, which is, at its core, a cooperative created for the purpose of processing and marketing the member’s crops. The first commercial cranberry bog in New Jersey was cultivated in 1840, though it appears through the Cape Cod Cranberry Growers Association, and now having more expansive information immediately available on the internet, cranberries began their actual cultivation in 1816 through Captain Henry Hall in Dennis, Massachusetts. I had, in my article noted that the shipping trade of cranberries to Europe began in 1820 during a period when the piquant flavor of the cranberry was popularized as an exotic novelty for adventurous gourmets in Europe (giving example that food fads existed even before the Food Network) and in America, cranberries were recognized as a valuable export item. Mostly, the former column that now sits in the plastic container in the basement was mainly about the cranberry water harvesting process. Did you know that cranberry bogs are flooded to a foot deep with water before the workers splash through them and guide the stirring harvester that knocks the berries off of the vines and into the water? 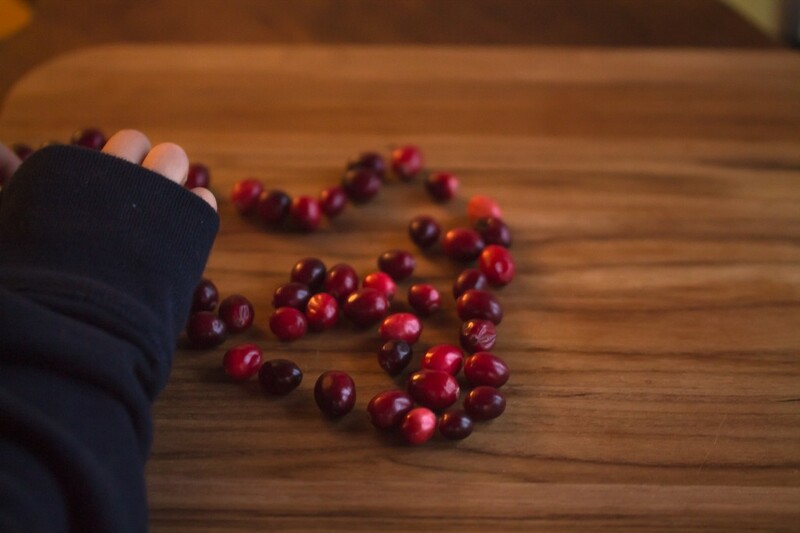 Since cranberries are buoyant they continue to float until paddles are pushed through the water collecting all of the berries into one corner. Following, an elevator lifts the berries onto a waiting truck hosting a de-grasser which cleans out the weeds and the grass. 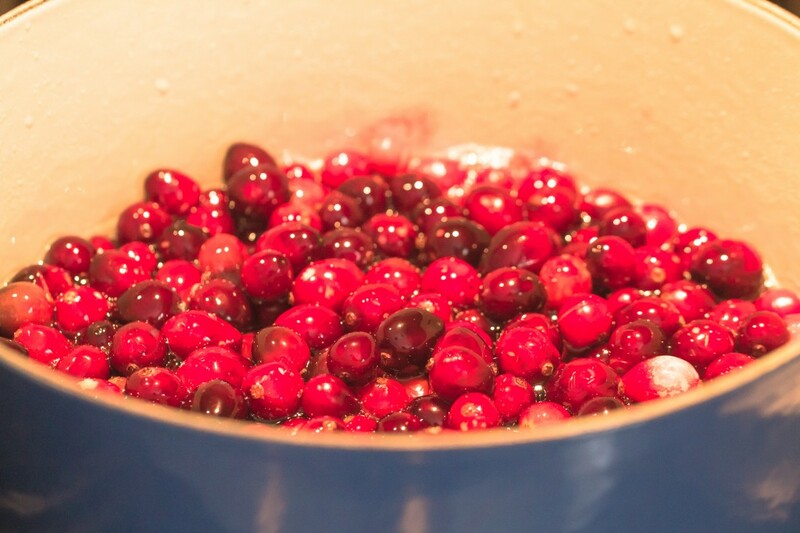 Then those little round deeply red and pinkish colored balls that have been known for their flavor, health, and cosmetic benefits by the Native Americans since 1550, are sent immediately for processing or freezing, usually all within the same day, according to Cranberry Farmer, Abbott Lee, those many years ago, that is. It took a lot more initiative to obtain information in newspaper rooms past, trips to the libraries, sourcing file card systems, locating references. Questions were carefully planned in advance, answers to be accurately captured over what might be a long distance phone call, a pricey consideration at the time. And today, so much more overall historical information is available in a mere single click, including a recipe for cranberry sauce. 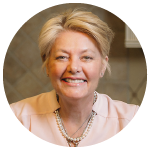 Upon reflection, I considered the time of that column past, as cranberries frequently adorned both Thanksgiving and Christmas tables, either simply in fresh cooked preparation, or, through the log shaped canned version. 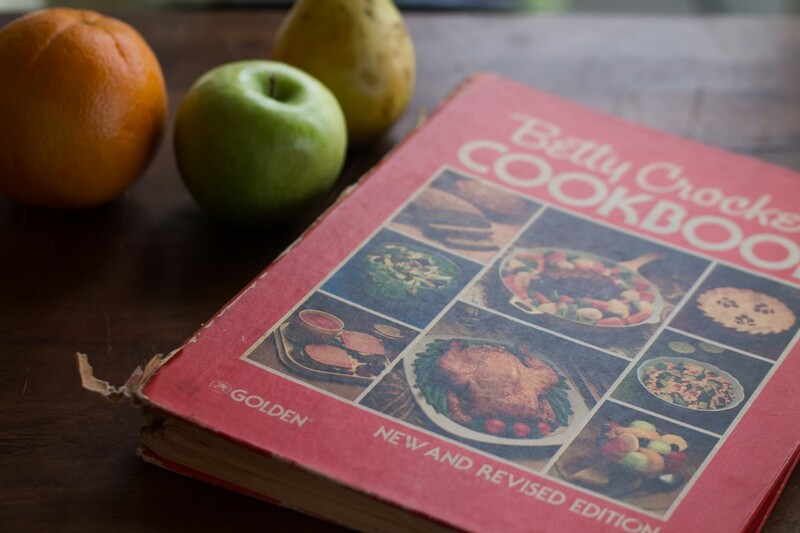 In the early 1980’s with expansive, diverse selections of cookbooks yet to come, along with the ease of recipe access through the internet, popular common access to the traditional American cranberry sauce recipe preparation was often found through key sources as Betty Crocker, who provides for nearly identical processes of preparation give or take a little extra sugar, as the Fanny Farmer 1896 cookbook reproduction through the Boston Cooking School. 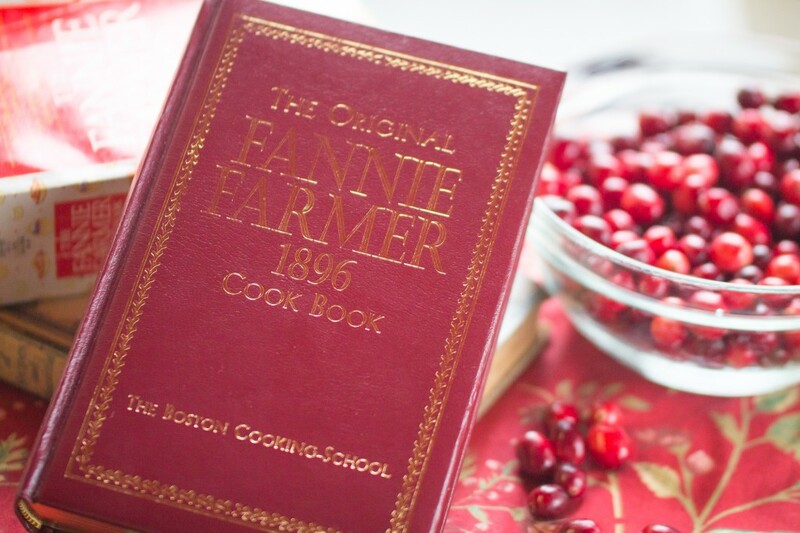 It would be interesting to learn more on cranberry recipes prepared before 1896, and if they too provide the common processes of preparation for cranberry sauce. But for today, we have the Betty Crocker version, the one prepared for the table even when I was a child, similar to that of Fanny Farmer in 1896 for those little round, deeply red and pinkish colored balls adorning tables especially on Thanksgiving and Christmas, and that among all fruits, are only one of three whose roots trace directly to North America, the cranberry, and its combined tart, sweet flavor, American style cranberry sauce. 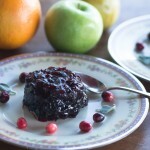 A bit of grated orange rind may be added to the just cooked cranberry sauce. 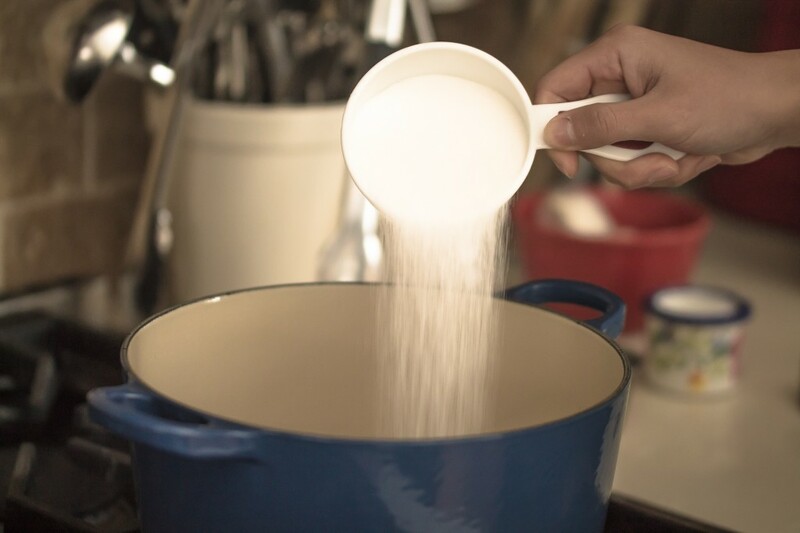 In a medium size saucepan or enameled cast iron pot, boil the water with the sugar on medium temperature for five minutes. 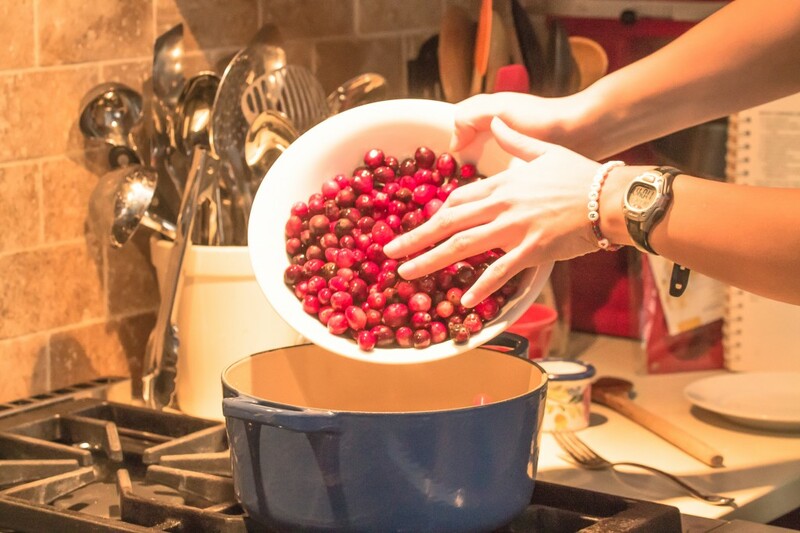 Tumble in the cranberries, stir, cook for another seven to ten minutes, approximately, on medium heat, stirring intermittently as the berries begin to pop, and as they break down into a chunky sauce texture. Turn off heat, cool for ten minutes then transfer to a container and refrigerate. 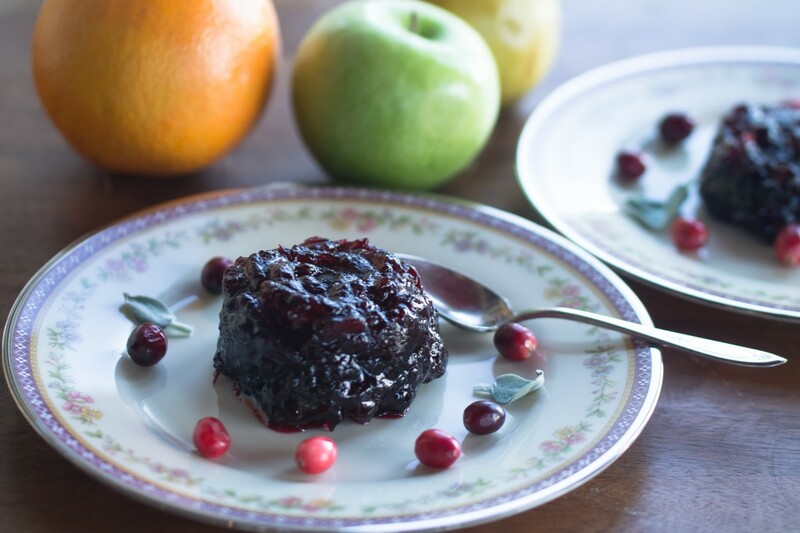 This entry was posted in Fruit, Holiday Favorites and tagged Cranberries, Cranberry Sauce. Bookmark the permalink. Post a comment or leave a trackback: Trackback URL. I have to laugh because in my recent Thanksgiving post I claimed my guilty pleasure was the canned cranberry sauce! I’ll admit, this does look delish! Hi Phil, sure its good with a good for you bonus! Great on leftover turkey sandwiches. Still, nothing wrong with canned cranberry sauce if that’s what you enjoy most! Happy Holidays!Thanks for joining in!